How do I send (or resend) invitations to parents in different languages? Step-by-step instructions for ClassTag teachers who want to send invitations to parents in different languages. Here at ClassTag, we understand that there are parents who prefer to communicate in a language other than English. We translate your message from English to different languages to ensure that parents will understand your message and get engaged on your class on ClassTag. When inviting parents in your directory tab, you have an option to change the default language for that parent from English to 50+ languages when sending the invitation. 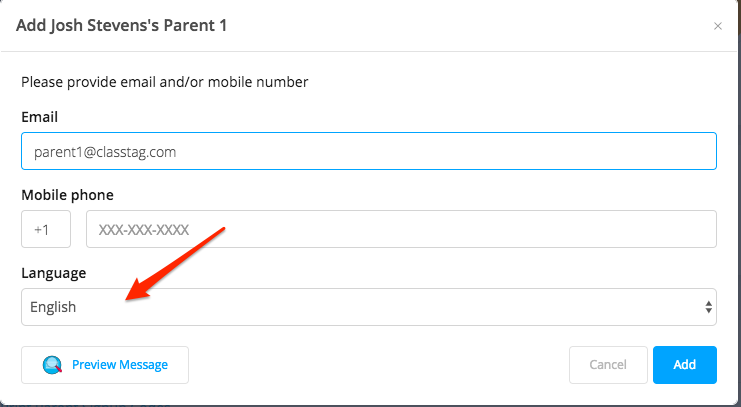 You can set the language for every parent when add their contacts manually in the Directory or copy and paste the student list and parents’ contact information (email address or mobile number) for bulk import. On the “Directory” tab, add the student’s name by clicking on the “+ Add Students”. 3. 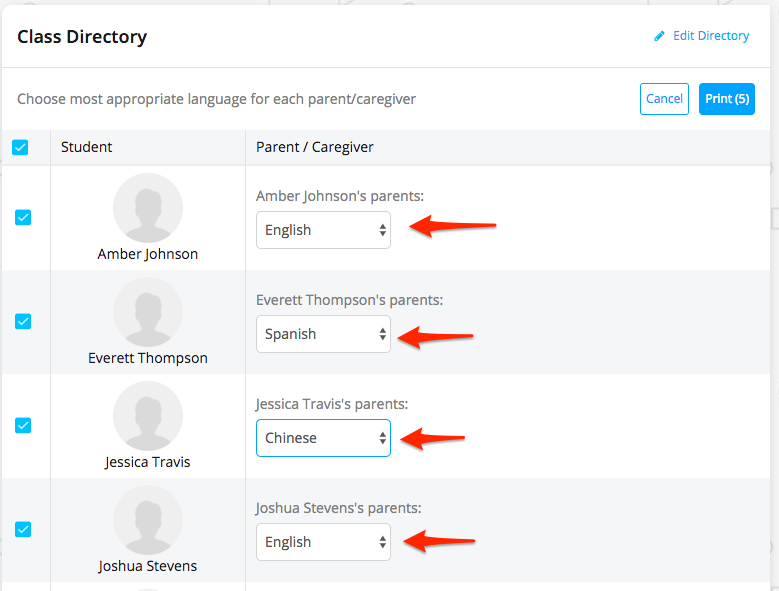 Click the plus key under the “Parent/Caregiver” column to add the parent’s or guardian’s details. 4. Type in the parent’s or guardian’s email address or mobile number and click the drop-down menu to choose for the language. Finally, click the “Add” button. On the “Directory” tab, click “Edit Directory”. You can also invite the parents using a code and printed flyers in different languages. You have an option to change the default language for each family without contact information from English to 50+ languages currently available. 2. Click the drop-menu for each parent and choose the language that will be used for the flyers. Once done, click on the “Print” button to export a pdf file that you can print out and give to the students. How to change the default language when parents are accepting invitations or after joining the class?